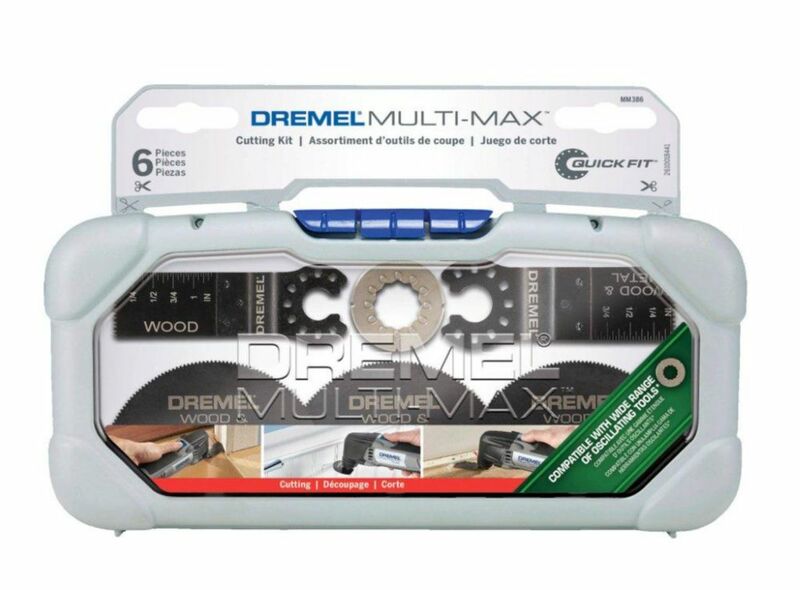 This kit contains five genuine Dremel Multi-Max cutting blades, a Universal Multi-Max Adapter and a reusable storage case. Includes: three wood and drywall blades, a wood flush cut blade, a wood/metal flush cut blade and a Universal Multi-Max Adapter. The Ariens 21 in. Mulching Kit for Classic Walk-Behind Lawn Mowers helps you feed your lawn and keep it looking sharp as you mow. The bit's baffles fit underneath the deck to form cutting chambers for each blade to cut grass into tiny shreds. The baffle plate included in the Ariens Zoom 42 in. Grass Mulching Kit for Zero-Turn Riding Mowers creates cutting chambers for each blade, which lift grass to cut it and return tiny clippings to the lawn. This helps keep the lawn tidy, well-manicured and nutrient-rich. 6-Piece Multi-Max Cutting Kit This kit contains five genuine Dremel Multi-Max cutting blades, a Universal Multi-Max Adapter and a reusable storage case. Includes: three wood and drywall blades, a wood flush cut blade, a wood/metal flush cut blade and a Universal Multi-Max Adapter.